What does it mean to be truly proper? 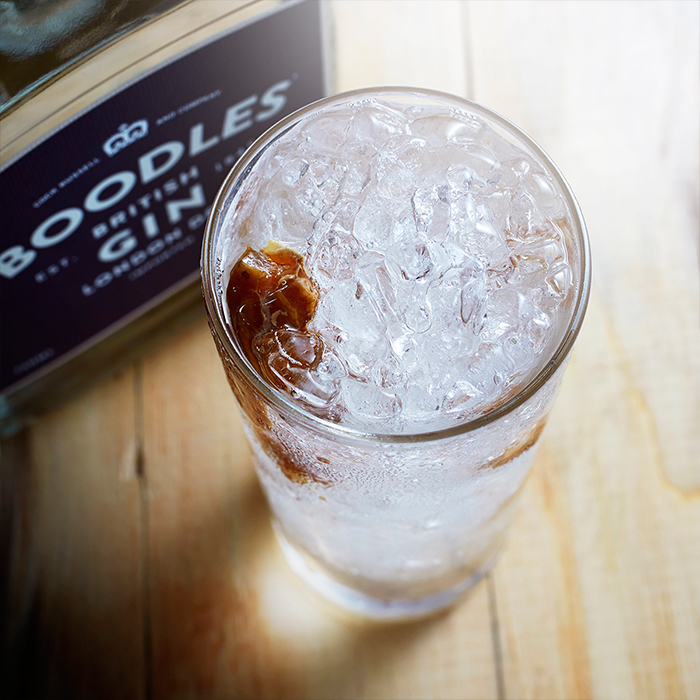 Grab a drink, and let Boodles lead the way. 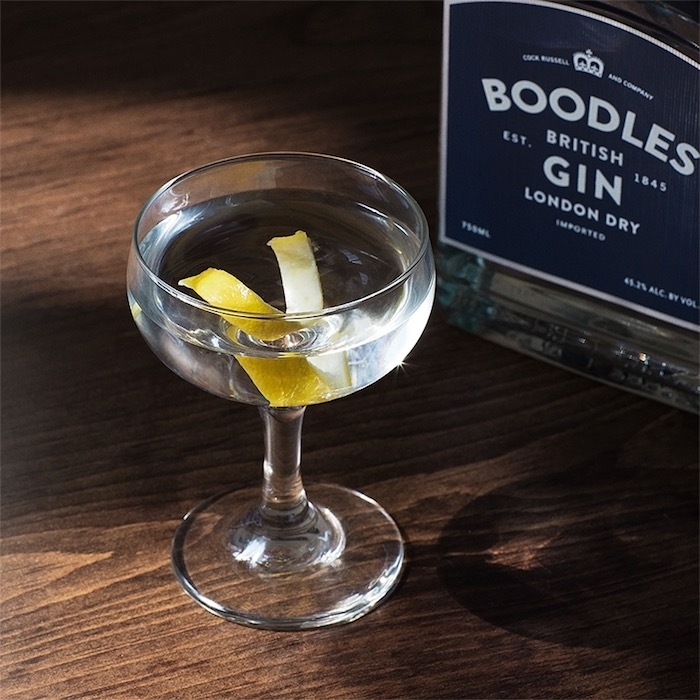 A further five ingredients round out the recipe and achieve a forthright but subtle spirit, suitable for any proper drinks - martinis, Boodles & tonics, bucks, or further mixology, for those so inclined. Fill mixing glass with vermouth and ice. 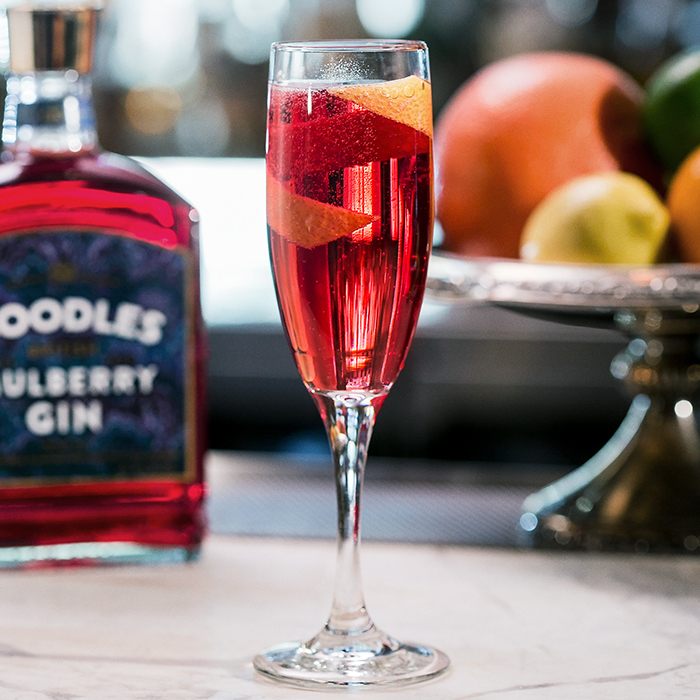 Stir briefly and strain out the vermouth. 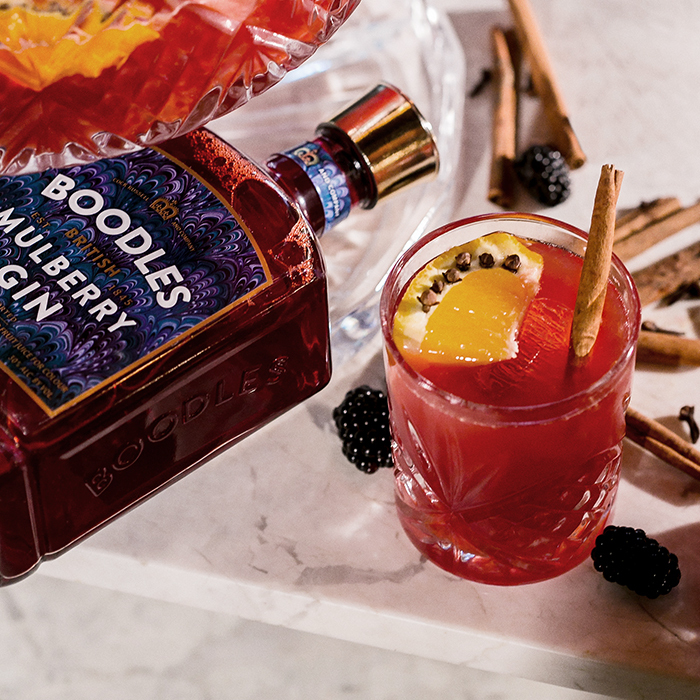 Add gin to the glass and stir for about 10 seconds. 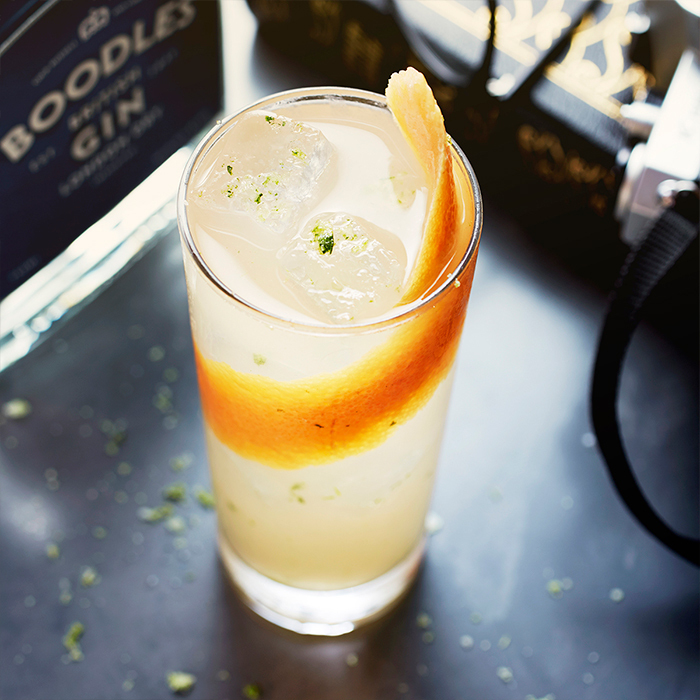 Strain into chilled cocktail glass and garnish with a fresh lemon peel. 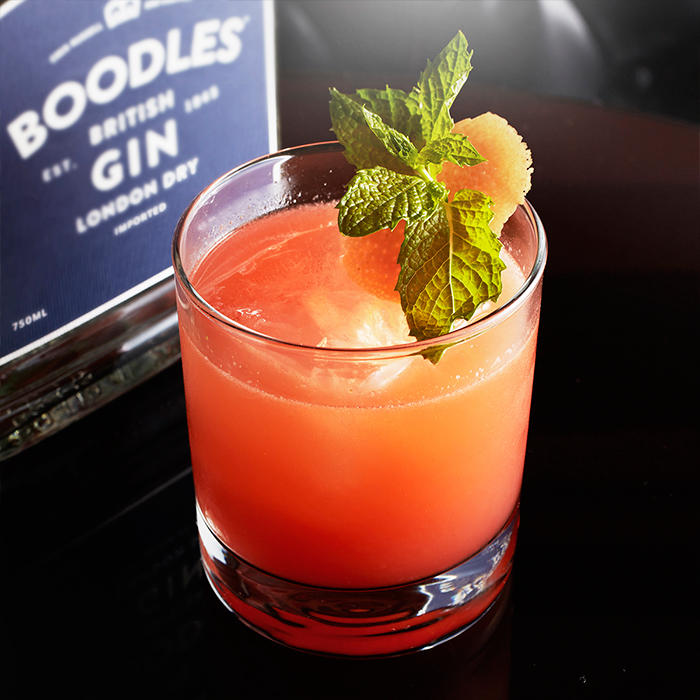 Combine all ingredients into mixing vessel, shake, fine strain into large rocks glass, garnish on the rim of glass with mint sprig pulled through an orange peel, expressed. 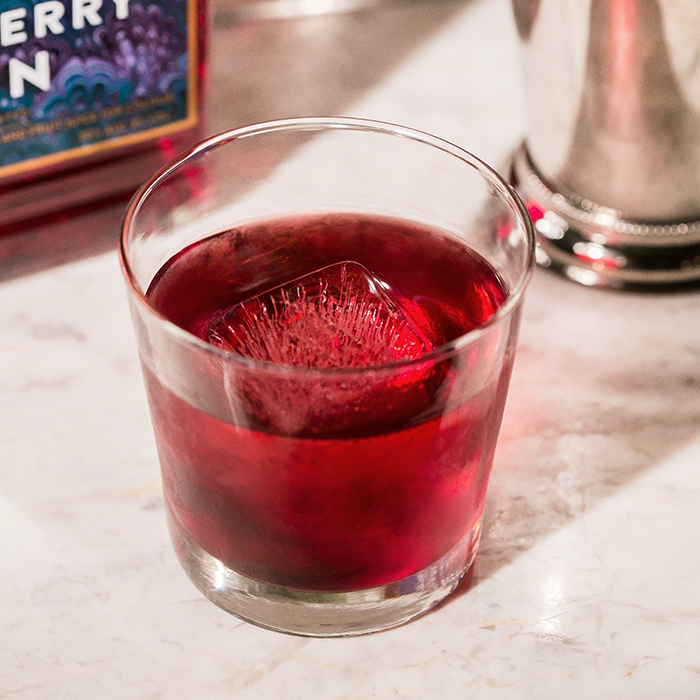 Serve in large rocks glass (low ball) with a large cube. 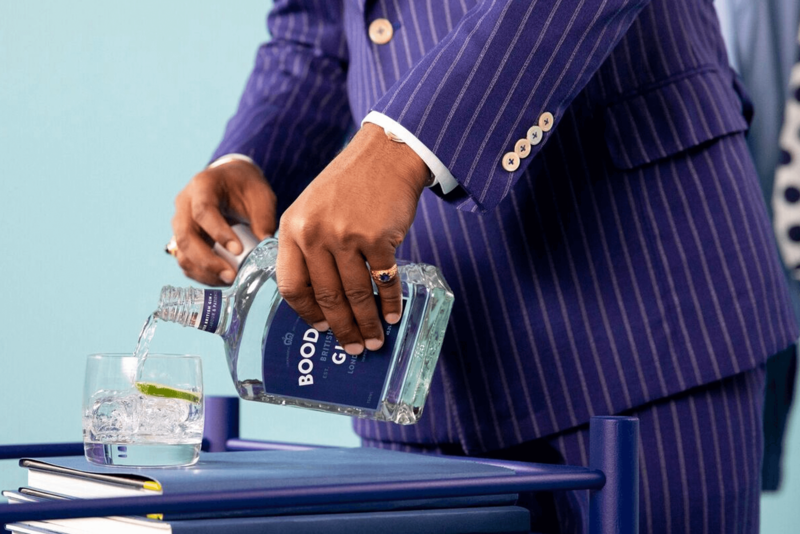 Combine all ingredients into mixing vessel, shake, add 1.5 oz of soda water, fine strain into salt-rimmed Collins glass, garnish with basil leaf. Shake all ingredients thoroughly. Strain into a large rocks glass with ice. 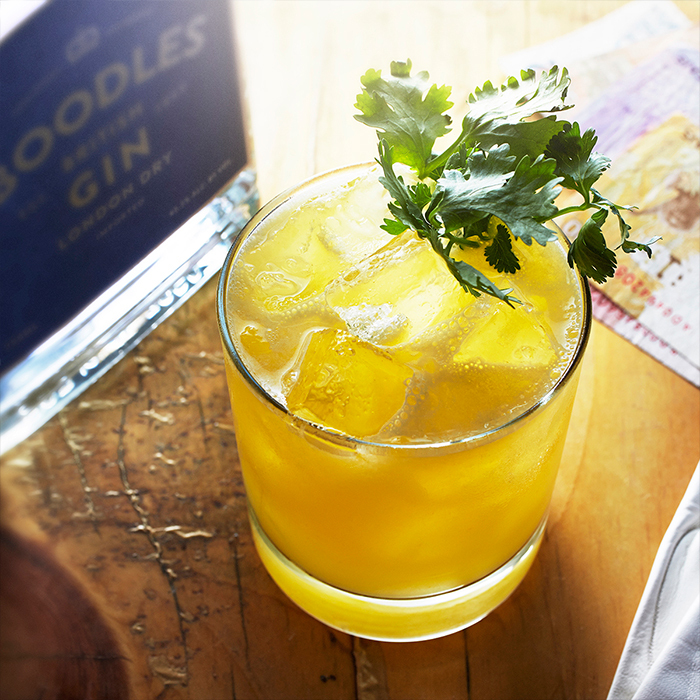 Top with tiny splash of soda and garnish with a fresh sprig of cilantro. 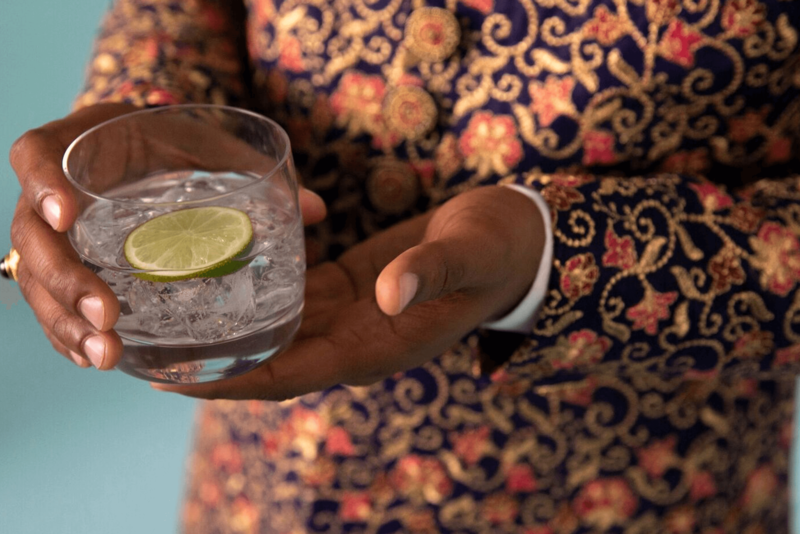 In a tumbler shave a handful of clear ice. 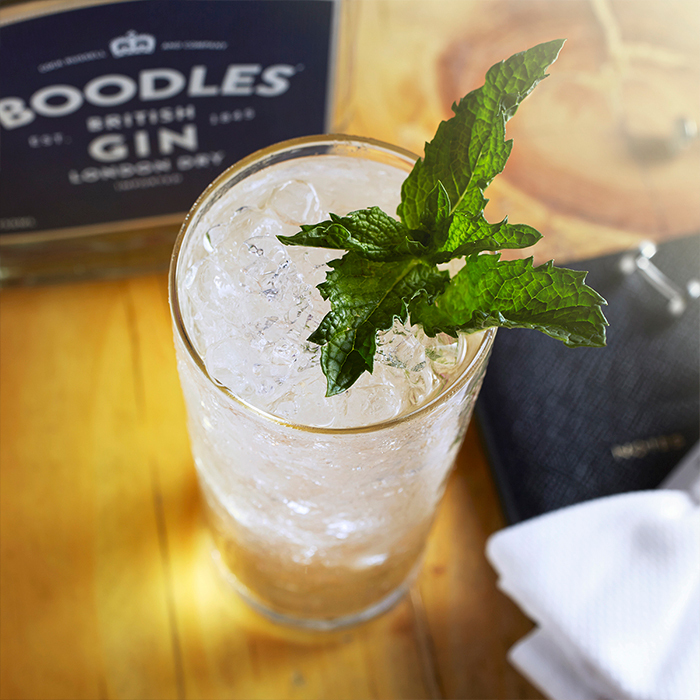 Pour one part Boodles Gin and two parts tonic, then stir. Massage the peppermint to release the aromas, add to the glass and serve. An alpine sharpener delivering complete refreshment. 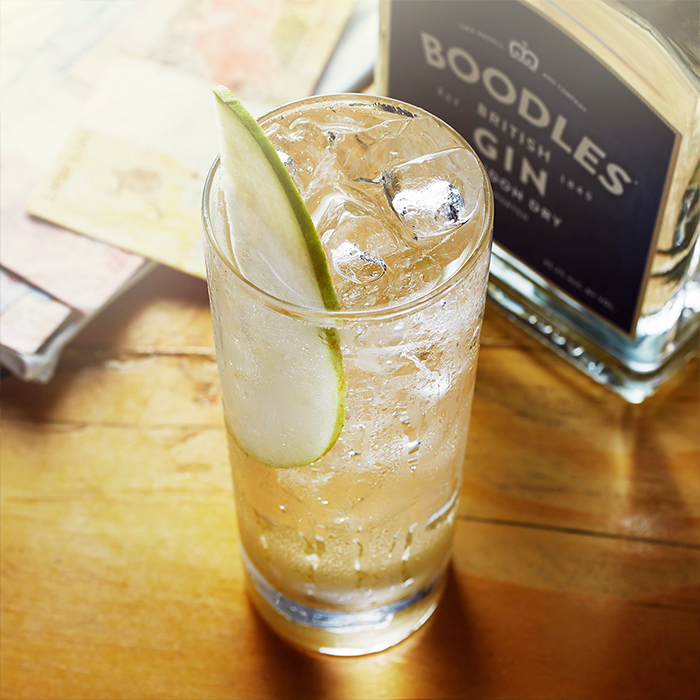 Pour one part Boodles Gin and two parts tonic into a highball glass over a squawk of ice, stir to a flourish. Add a sliver of guava and serve. 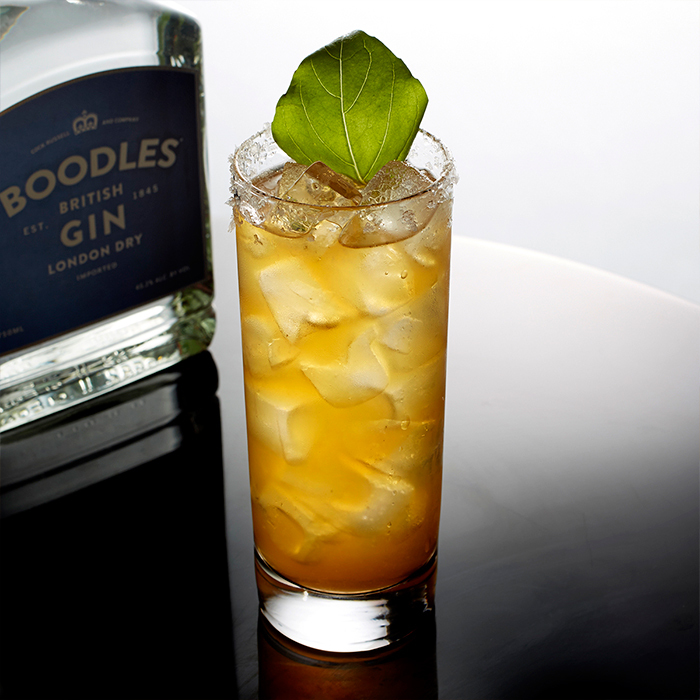 A tropical quencher sure to keep you flowing in the most exotic conditions. 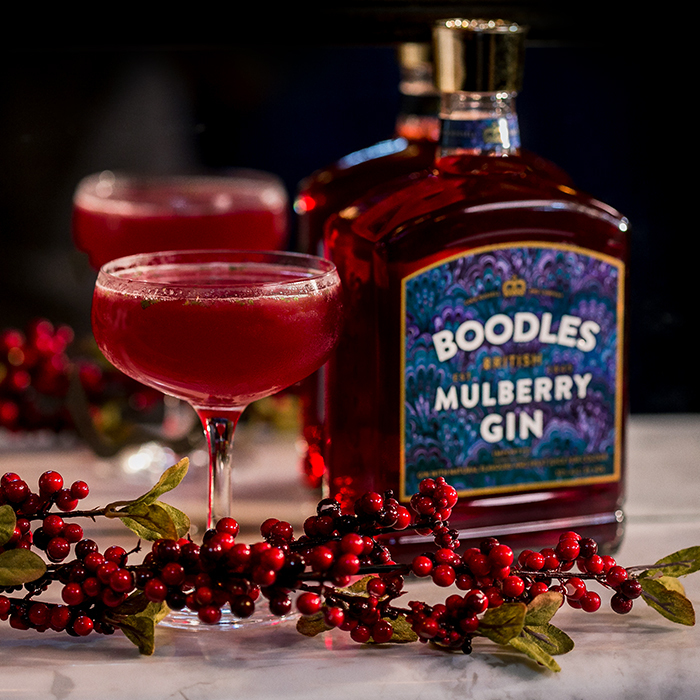 Gently muddle a plump date in a cocktail shaker with one part Boodles Gin and two parts tonic. Pour the precious liquid into an oasis of shaved ice and serve immediately to enjoy this shimmering mirage. Combine all ingredients in a cocktail shaker over ice and shake vigorously. Pour over fresh ice in a rocks glass. 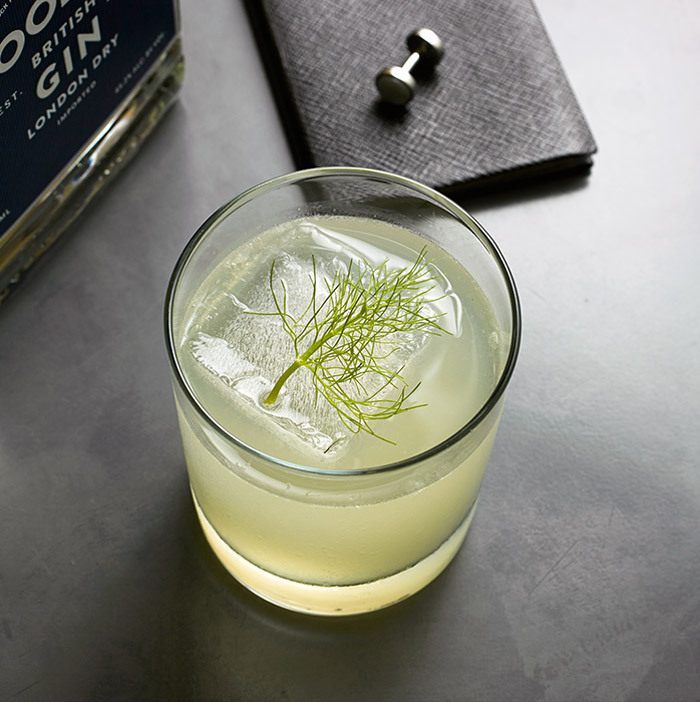 Garnish with a fennel top sprig.